Don't you love giving handmade? 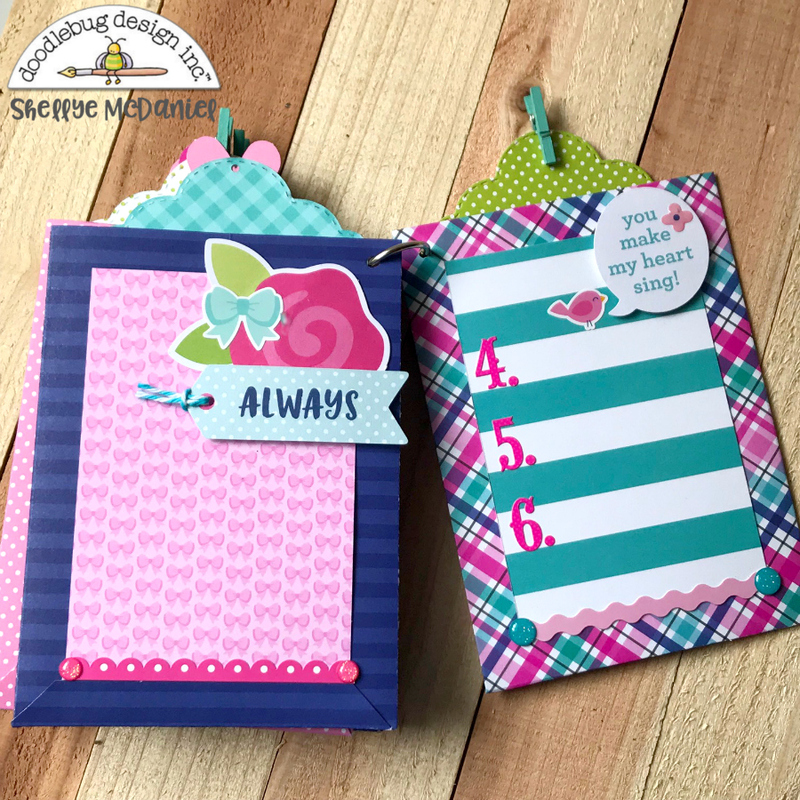 Today I have a really quick and easy "French Kiss" Mini Album that features pocket pages that can hold tags, handmade coupons, gift cards, etc. It's double-the-fun! 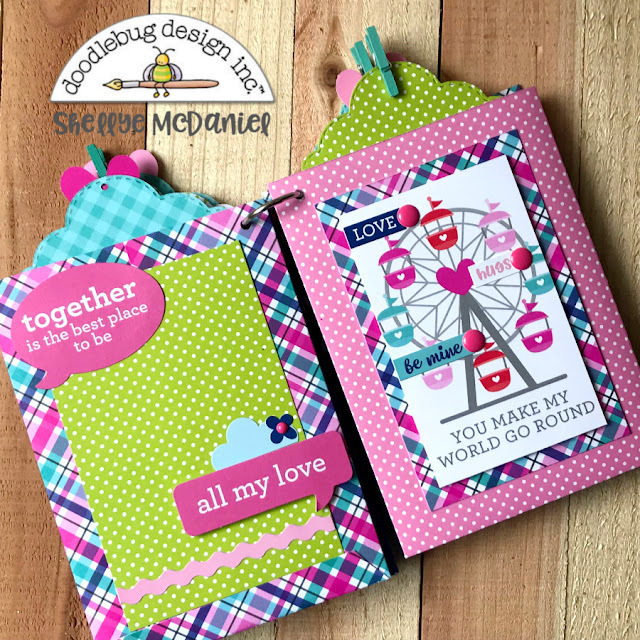 To begin, I sorted through the patterned papers and components from the collection and chose several of the pieces sans red accents. Next, I cut three different papers into 9"X6" strips; you will be able to get two pocket pages from each 12X12 paper. Reserve the leftover paper for photo mats. Each of the six 9"X6" strips were scored at: 3" and 7"; turned and scored at 5.5". The papers were folded along the score lines and the flaps secured with a permanent adhesive tape. The fronts and backs of the pocket pages were accented with 3"X4.5" photo mats that were cut from leftover papers, as well as papers from the 6X6 Paper Pad. 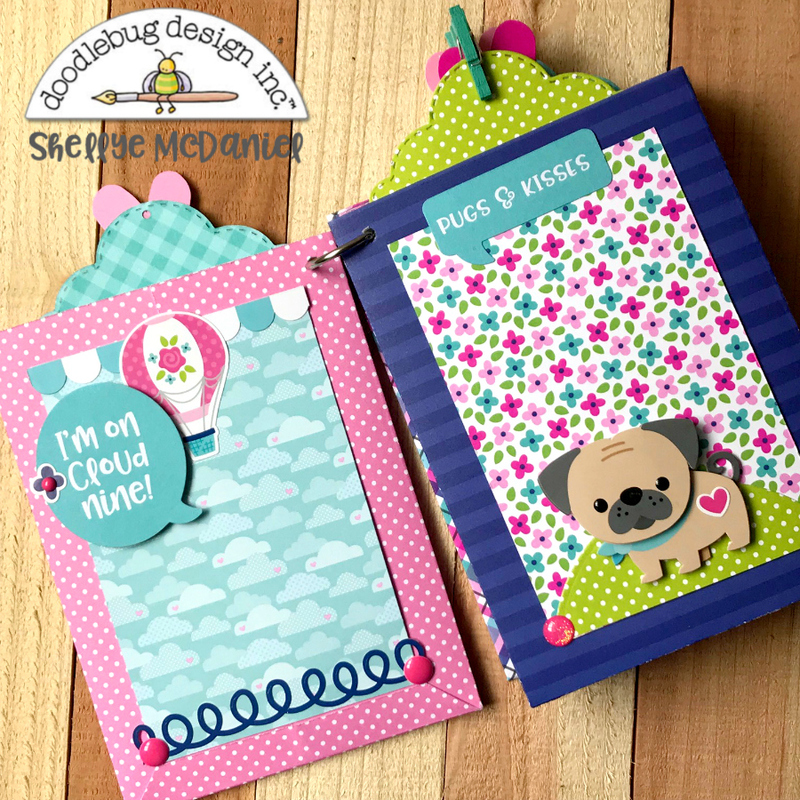 I created grassy hills using a circle die and Limeade Petite Print Swiss Dot paper. This is a perfect way to anchor pieces such as lampposts, puppies and people! To finish, a small hole was punched at the top left of each pocket page and a binder ring strung through to hold the pages together. 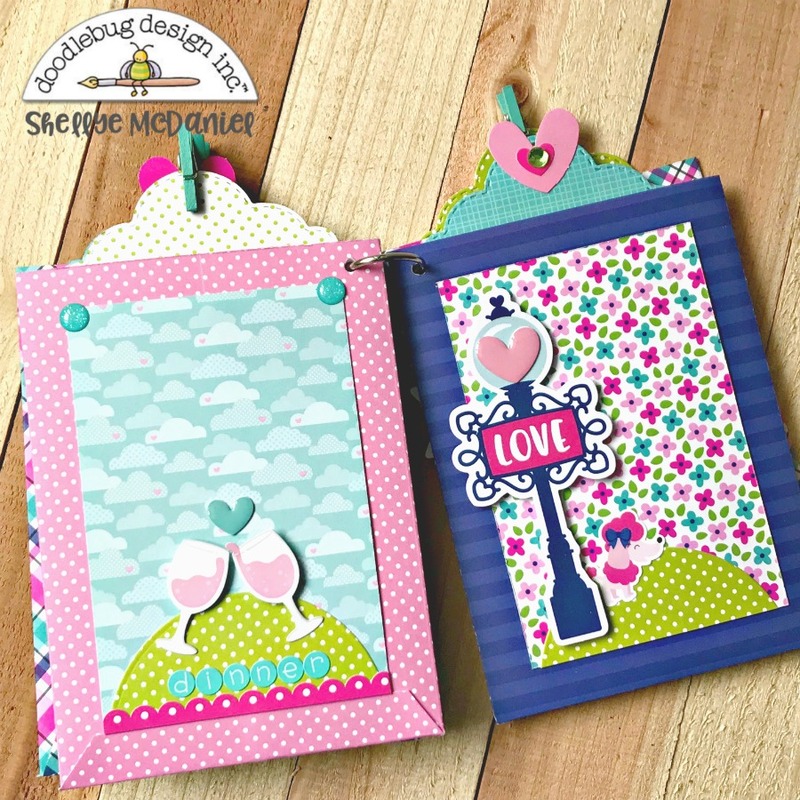 Die-cut tags were added to the pockets and embellished at the tops with mini paper clips and die-cut hearts. 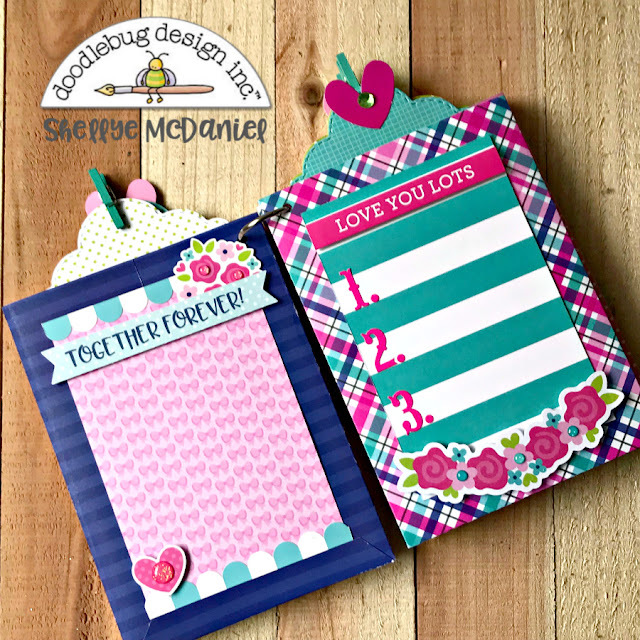 It may be mini, but there are tons of places to add photos, journaling and keepsakes! This is adorable!! 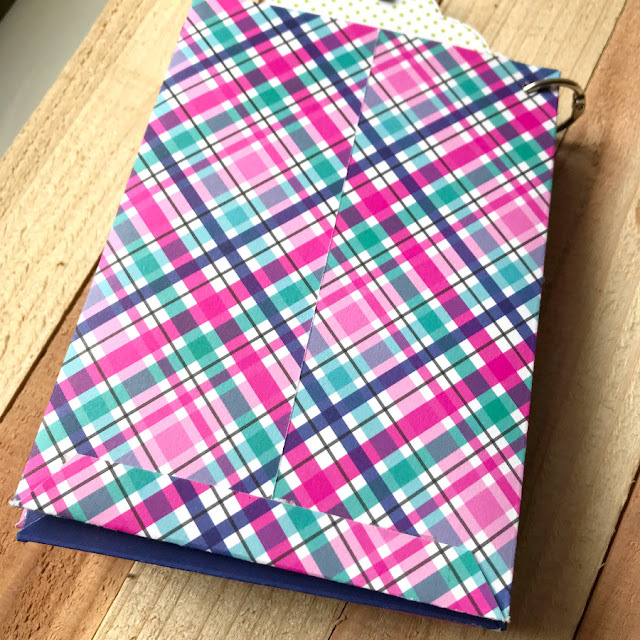 Love the pocket idea! !